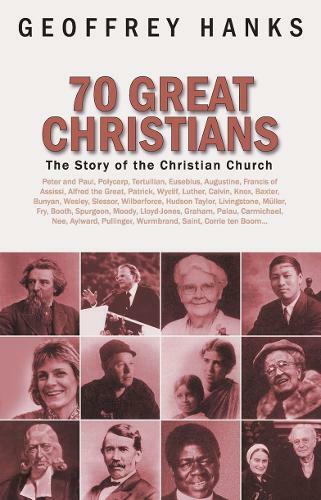 70 Great Christians has become a publishing phenomenon! It is a consistent best seller in Christian Bookshops and has found markets all around the World. The Story of the Church is a story of people moved by God to achieve things for his glory. Some are from privileged backgrounds but the majority started out as ordinary people just like you. God says that he will 'choose the foolish things of this world to confound the wise' and so here we find people who are prepared to stand up to the spirit of the age and become fools for Christ's sake. This is a useful resource book for pastors, teachers and schools. More than that it is a well written and comprehensive collection of biographies of those people who have given all (sometimes mistakenly) for the God they sought to serve. "..a style that is both readable and easy to digest"
... will inform the mind, warm the heart, and challenge our wills to emulate. No space is wasted- it is a wealth of material under one cover. "It is a fount of information, not only about the people but about the movements which sprung up from time to time"